SugarCreek’s beekeepers began hive winterization by installing mouse guards and insulating the bee’s main hive entrance. 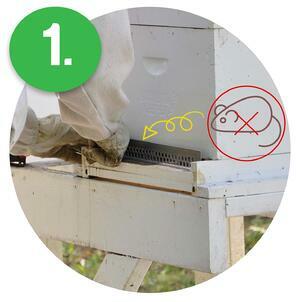 The goal of winterization is to insulate the hives and keep them as warm as possible, but only for the bees! The mouse guards keep out other little creatures that might be looking for a warm home for the winter. Insulation placed in the bee’s main hive entrance is arranged in a way that allows the bees to come and go from the hive, while still protecting them from the wind and cold. Insulating the Hive Insulating hive sleeves are then placed around the outside of the hives. This is the main insulating device, so it is important that the sleeve fit snugly. 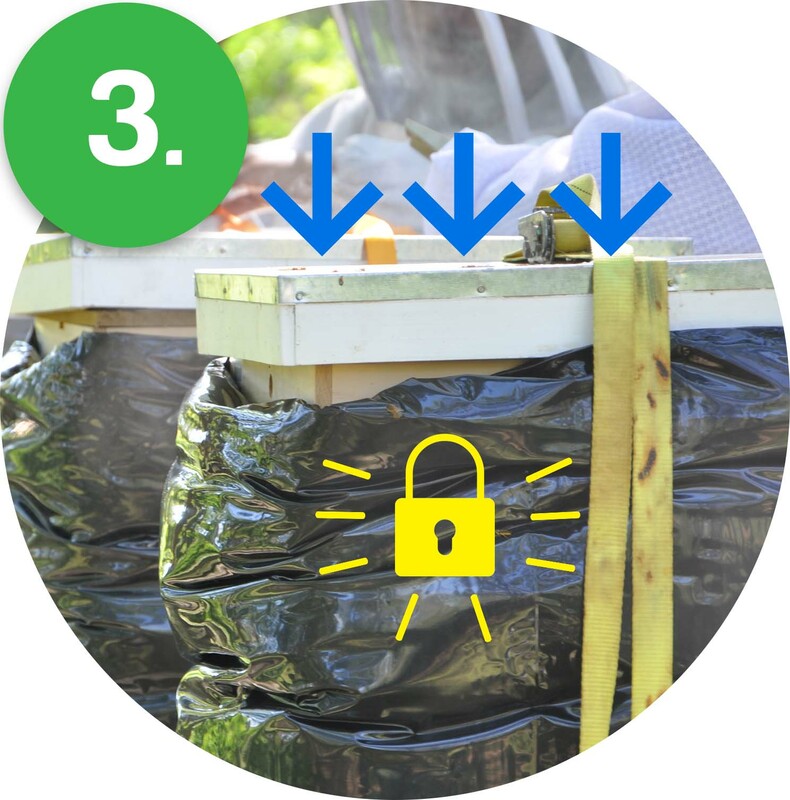 The sleeve must also not block the two main entrances to and from the hive to allow for proper ventilation and to allow the bees to enter and exit the hive before the cold winter weather arrives. 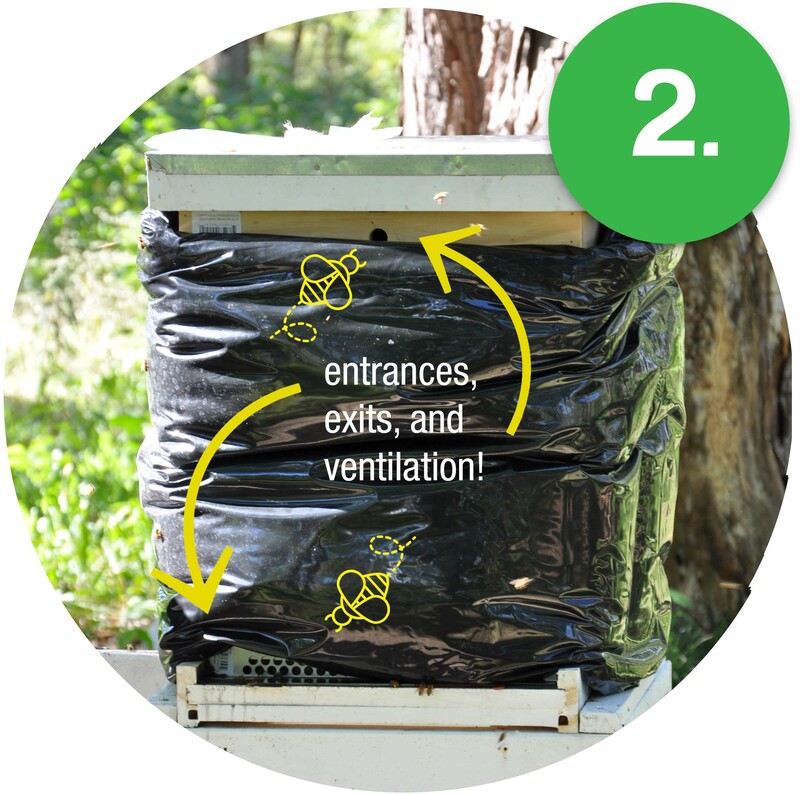 A fitted piece of fiberglass insulation is also placed on the top box of the hive prior to replacing the lid so heat does not escape through the top. Securing The Hives Strapping down the hive lid helps ensure that warm air doesn’t escape. It also secures the entire hive to a raised base, so the hives are not knocked over by a strong winter storm or by any curious or hungry animals. With all three hives insulated and secured, winterization is complete! Looking Forward A beekeeper’s work is never done! SugarCreek beekeepers Pete and Yohana will continue to check on and feed the bees for the next several weeks. 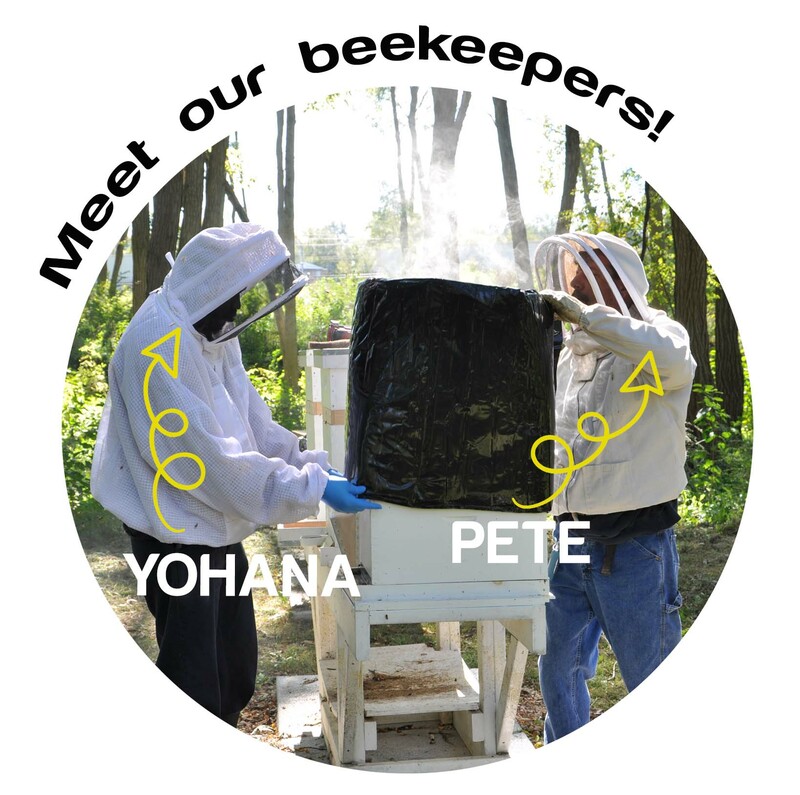 Yohana has worked at SugarCreek for a few years, but started assisting Pete due to his interest in bees, which began with his father who kept bees in South Sudan. Yohana and Pete will work together to expand SugarCreek’s bee colony, and have already built a second raised base in order to expand the hives next season!